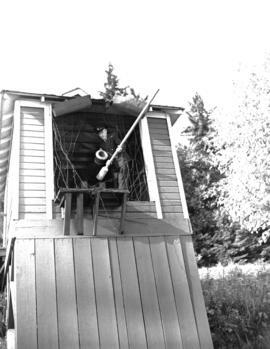 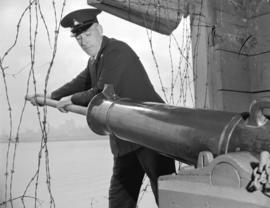 Photograph shows Lieutenant H.O. 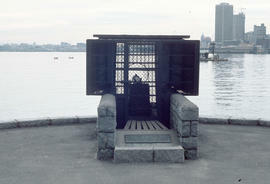 Mock, R.N.V.R. 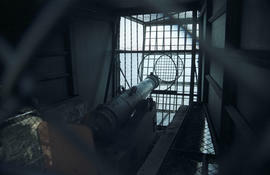 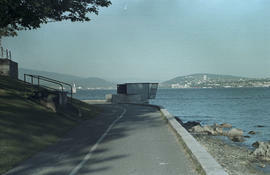 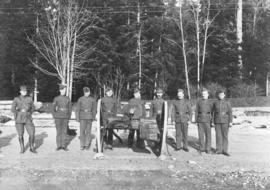 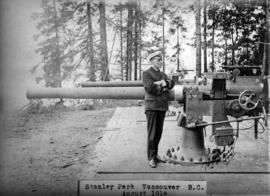 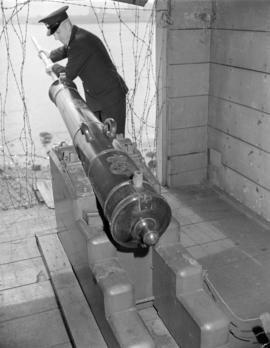 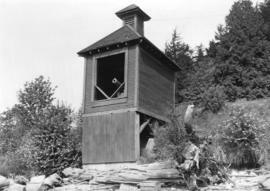 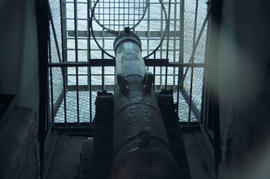 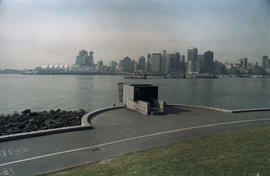 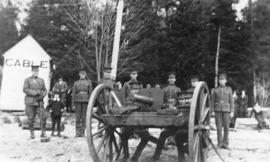 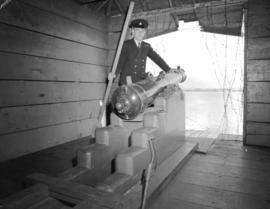 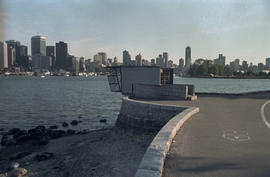 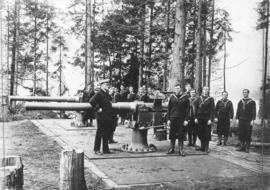 with a large gun battery at Siwash Rock, Stanley Park.